Seeds Manufacturer and suppliers in Gujarat, Maharashtra, Andhra Pradesh, India. Phone : 0878-2274666, 2274655 Fax : .. Phone : 08727-282295, 282283 Fax : .. Phone : 040-23220093/94, 32988844 Fax : ..
Email : vsoundarajan@krishidhanseeds.com Web : .. Phone : 01662-229221 Fax : .. Phone : 011-27671430 Fax : .. Phone : 040-24143112 Fax : ..
Email : aadhaarseeds@gmail.com Web : ..
Email : aakashseeds@rediffmail.com Web : .. Phone : 040-40038381 Fax : .. Phone : 040-23546166 Fax : ..
Email : ratnakumar@ksrproperties.com Web : .. Phone : 0753-231502 Fax : ..
Email : agrinovaseeds@gmail.com Web : .. Phone : 0731-2591284, 2593890 Fax : ..
Email : dharaneemreddy@yahoo.com Web : .. Phone : 01505-222256, 223665 Fax : .. Phone : 02778-253277 Fax : ..
Email : adityahybridseeds@yahoo.com Web : ..
Email : microtechindore@gmail.com Web : .. Phone : 040-27811556, 08458-277244 Fax : .. Phone : 22001749, 22001680 Fax : .. Phone : 0731-2866539 Fax : ..
Agro info media is prominent company of agriculture directory in India. You can find here all details and list of Seeds companies they are suppliers of Seeds, manufacturer of Seeds, dealers of Seeds in Gujarat, maharashtra, AndhraPradesh, India. 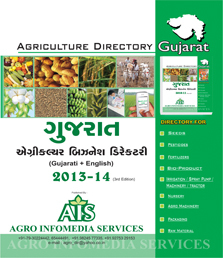 Agro info media is free listing directory portal for Seeds suppliers, Seeds manufacturer, Seeds companies in Gujarat, Maharashtra, India. You can also take your listing for paid advertisement in our next Directory edition for Gujarat, Maharashtra, Andhra Pradesh, India.